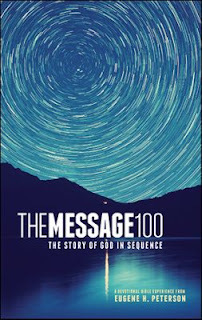 The Message 100 Devotional Bible: The Story of God in Sequence, By: Eugene H. Peterson is a new hybrid devotional styled bible that uses the modern, lively Message translation. 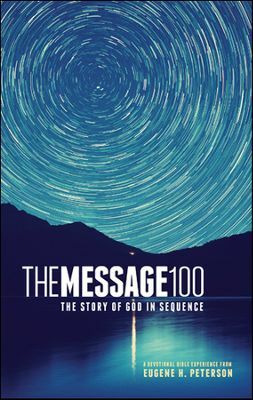 This paperback book contains the full bible text, but re-ordered chronologically and divided into separate bite sized, digestible, spiritual chunks. This book makes the perfect bible for any new bible reader or truth seeker. The font is easy to read and the text format is comfortable for reading. This book is perfect- except for the possibility that it may present some confusion with the traditionally formatted bible. No where on the cover is it explicitly stated that this is a bible. Yet it is described as a "devotional bible experience" inside the opening page. It seems to defy categorization. The modern, minimalist design will appeal to a new generation of readers. The cover is active, vibrant, yet soothing. It incorporates nature and the abstract at the same time. It is general enough to appeal to any reader. The only thing that I would change about this bible is that I prefer the bible to maintain its traditional sequence. I personally don't feel comfortable with reading a bible that has the books of the bible and passages taken out of sequence and re-ordered. Nevertheless for a reader who wants to take a chronological or historical approach to bible reading- this order might bring the bible into a more historical perspective. There are many bibles on the market as well as bibles formatted for daily devotional use. The main difference with this bible is that it features the lively animated Message translation which I feel is a great outreach opportunity for new bible readers in a less formal presentation. I believe many will feel this translation is an eye opening experience which draws them closer to the good news. Sequential order may make this bible easier to follow for some readers, while possibly confusing other readers as to the actual order of the Holy bible. For that reason alone I would prefer this book to have retained the traditional order of all the bible books. 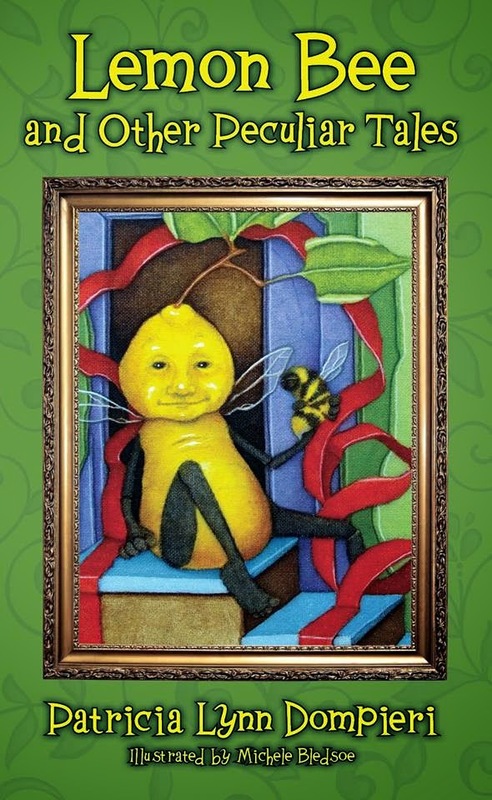 As a blogger I received a copy of this book published by NavPress for the purpose of writing this review.